Handibrand Kit Designs :: Kit Chloe Desire, Vintage Blue Color with 350gr Fibra Cord Yarn in Blue. Final Bag Measurments 30x25cm. Home/Handibrand Kit Designs/Kit Chloe Desire, Vintage Blue Color with 350gr Fibra Cord Yarn in Blue. Final Bag Measurments 30x25cm. 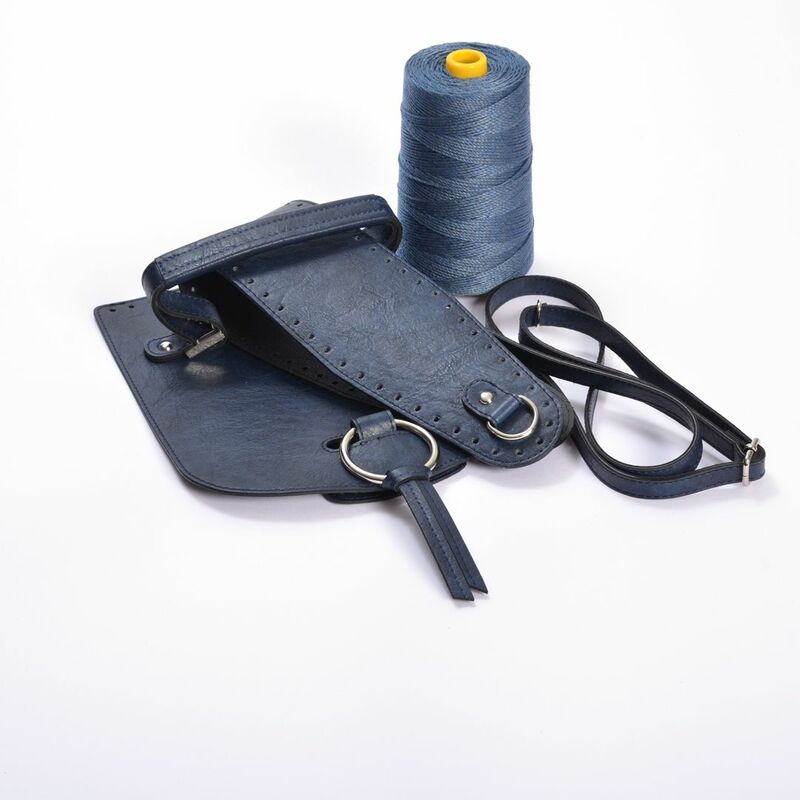 Kit Chloe Desire, Vintage Blue Color with 350gr Fibra Cord Yarn in Blue. Final Bag Measurments 30x25cm. The Chloe Desire kit results in a smart crochet bag. 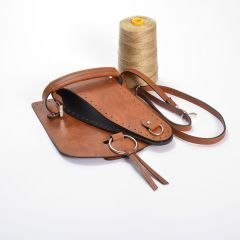 As a finished bag, it measures approximately 30cm in width x 25cm in height. 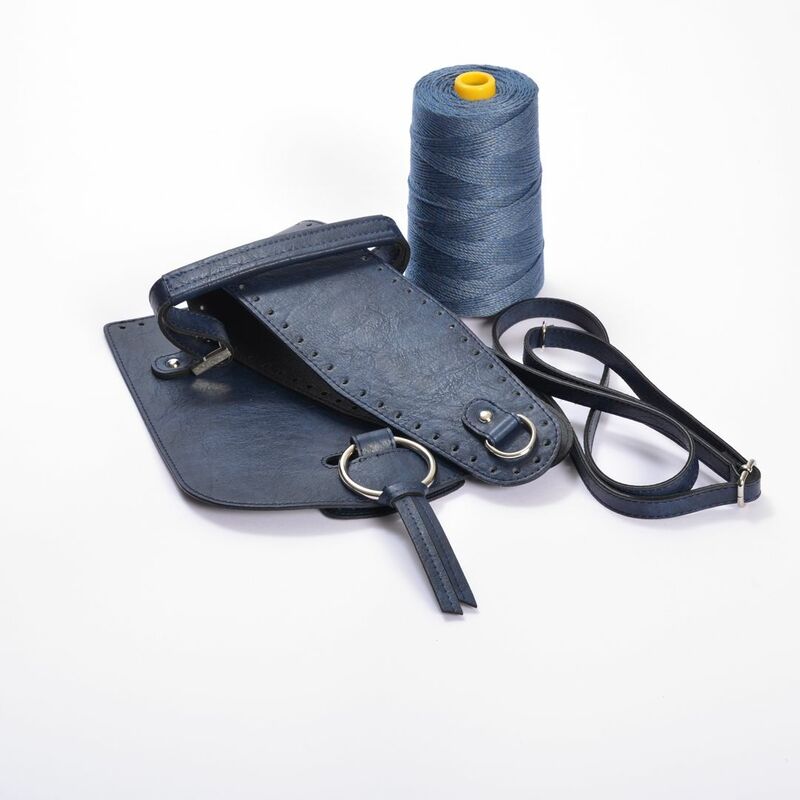 This kit contains 1 x eco-leather cover incorporating wide handles with an external ring and a special internal magnet, 25x23cm. 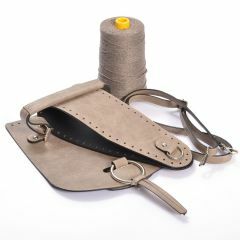 The kit also contains 1 full eco-leather base and side panels 65x11cm designed to facilitate the shape of our bag, 1 adjustable shoulder strap and 350gr of Fibra cord yarn requiring a size 4 crochet hook. If you need instructions, please ask us. To see how this bag is made, watch our Chloe Desire instructional video. 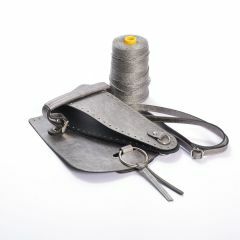 You can also choose from a range of professional linings here. 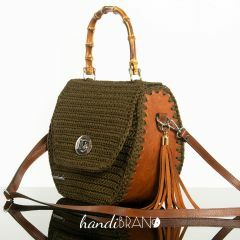 Kit Chloe Desire Crochet Cover with Bamboo Handle and 500gr Catenella Cord Yarn, Final Measurements 30x35cm. Choose Your Colors! Kit Chloe Desire, Vintage Brown-Tabac Color with 350gr Fibra Cord Yarn in Rust Brown. Final Bag Measurements 30x25cm. 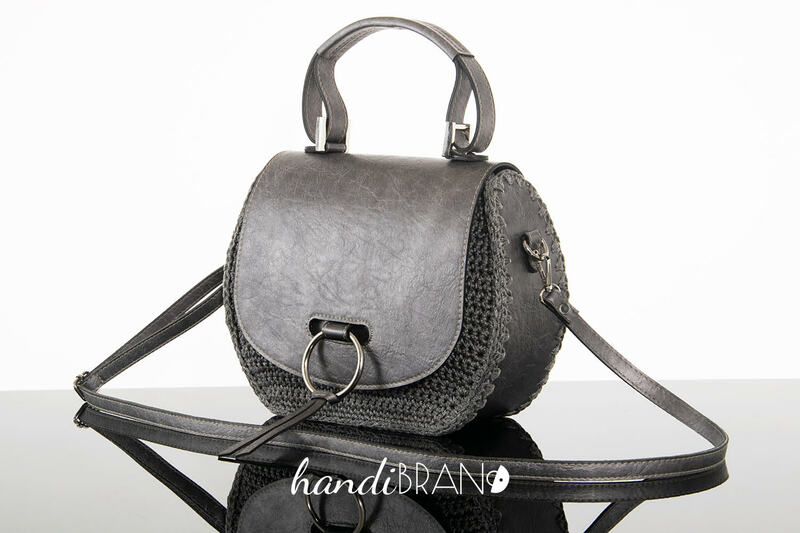 Kit Chloe Desire, Vintage Black-Gray Color with 350gr Fibra Cord Yarn in Black. Final Bag Measurements 30x25cm. Kit Chloe Desire, Mustard Color with 350gr Fibra Cord Yarn in Black. Final Bag Measurements 30x25cm. Kit Chloe Desire, Vintage Bordeaux Color with 350gr Fibra Cord Yarn in Rust Brown. Final Bag Measurements 30x25cm. Kit Chloe Desire, Black Color with 350gr Fibra Cord Yarn in Black. Final Bag Measurements 30x25cm. Kit Chloe Desire, Cypress Green Color with 500gr Catenella Cord Yarn in Cypress Green. Final Bag Measurments 30x25cm. Kit Chloe Desire, Vintage Mustard Color with 500gr Catenella Cord Yarn in Gold Beige. Final Bag Measurments 30x25cm. Kit Chloe Desire, Vintage Tabac Color with 350gr Fibra Twist Cord Yarn in Gold Beige. Final Bag Measurments 30x25cm. Kit Chloe Desire, Vintage Cigar Color with 350gr Fibra Cord Yarn in Cigar. Final Bag Measurments 30x25cm. Kit Chloe Desire, Dark Bordeaux Color with 350gr Fibra Cord Yarn in Bordeaux. Final Bag Measurments 30x25cm. Kit Chloe Desire, Vintage Silver Color with 350gr Fibra Cord Yarn in Silky Gray Aubergine. Final Bag Measurements 30x25cm.